Bullying: How to Recognize it and Build Resilience? October 31, 2017 /0 Comments/in For Educators, For Students /by Anja A. Bullying is a very emotional topic for kids and parents alike. Unfortunately, we are used to hearing about bullying incidents that mostly happen during middle and high school, due to the biological, social, and emotional changes adolescents undergo during this period. That being said, it’s important to emphasize that while bullying tends to be more noticed during those years, for some children it can start as early as preschool. 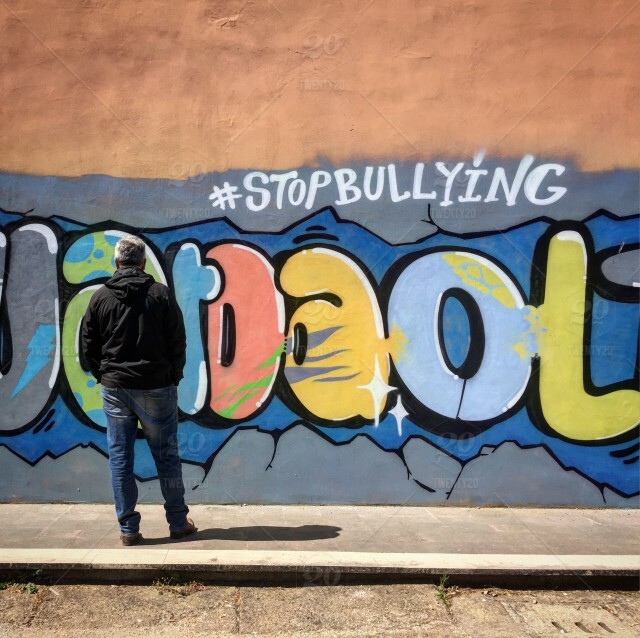 If you’re not certain whether something constitutes bullying or not, ask yourself these questions: Is there a power imbalance?, Is the negative behavior intentional?, and, finally, Was it a single incident or is it ongoing? A power imbalance makes bullying easier. The bully can be physically stronger than the victim, but that doesn’t have to be the case. These days, being popular creates the biggest power imbalance in schools and often allows spreading rumors and name-calling to be perpetrated with no repercussions. Many people tend to think of bullying specifically as physical abuse. A physical act of bullying can be any situation in which the student’s physical integrity is under attack – pushing, kicking, hitting… However, it’s not the most common form of bullying today. Verbal bullying is very common and it mostly revolves around name-calling. Relational bullying doesn’t necessarily involve face-to-face contact between the bully and the victim. Any form of social exclusion (not allowing someone into a peer group, denying them access to social activities on purpose) or rumor-spreading falls under relational bullying. Another form of relational bullying is issuing orders and ultimatums to peers in order to command more power in social circles, for example, “you can’t hang out with that person and still be part of our group ”. Recognizing bullying is the first step in tackling an issue that’s been going on for a very long time. However, recognizing a child who’s being bullied is just as important. It’s not easy to recognize that a child is the victim of bullying, but you should be able to notice that something is wrong. The best thing you can do is create a loving, positive, and safe atmosphere in which your child feels comfortable enough to tell you they’re being bullied. Bullying can have many consequences, from emotional distress to lower grades. Behaviors resembling depression or anxiety are very common indicators that a child is being bullied. You may notice that they have trouble sleeping (insomnia, nightmares) and they look sad and worried. Consequently, their desire to go to school, as well as their grades, might be plummeting. It’s difficult for a student to concentrate on studying and paying attention in class if they’re afraid of what’s going to happen after class is out. If they look fearful and anxious before going to school, or they’re constantly making up excuses to avoid going, the best thing to do is talk to them about it. As we mentioned before, these are some of the signs that could help you notice something’s off, but it’s difficult to know for sure unless they tell you themselves or a teacher reports it. Remind your children often to let you know if they’re being bullied – anywhere! Assure them that you will not overreact, but instead, will assist them in dealing with it themselves. Why do they hide it? The solution to this problem would be easier if all the victims of bullying came forward. Unfortunately, many students do not do so. One reason is that they don’t want to seem”weak“ in front of their peers, so they choose to take it silently rather than admit to it. Another possibility is fear of retaliation once the bully is punished for their behavior. Last, but not least, they sometimes think their parents will want them to change schools, and they don’t want to leave their classmates and friends behind. Starting over can be very difficult, especially in adolescent years. Because of this, we need to create a safe environment that clearly condemns bullying; we need to tackle it systematically. However, parents can do their part as well, and to help with that we’ve prepared some advice. Often, we tend to (wrongly) assume that if we remove the bully, we stop the bullying. This might be the case for some children, but for most, bullying is an ongoing process that has to do with their vulnerability. And while no child is to blame for being bullied, there are some characteristics that make them susceptible to bullies, and that parents can help them strengthen. •able to communicate their problems and expect a positive outcome. Once we have this in mind, we can work on strengthening the characteristics important for resilience. 1. “This is my fault”. Victims of bullying often feel they’ve done something to deserve it. Parents and teachers alike have the responsibility to talk to children and let them know that nobody deserves to be bullied. However, this might make them feel there’s nothing to be done about it; if it’s not about them, how can they change something and stop it? However, you should also be there for them as a safety net. They need to know that should a problem prove to be too big to solve alone, they can always confide in you and receive support and help. 5. Dealing with stress and emotions. The cornerstone of resilience is being able to deal with stress without being overwhelmed by anxiety. A positive reaction to stress means being able to keep a clear head and think of different ways to solve a problem. Of course, feeling sad or angry is a normal reaction to negative events, but the important thing is to not internalize or externalize. Keeping problems and emotions to ourselves even as they overwhelm us is a mistake, but so is acting out. 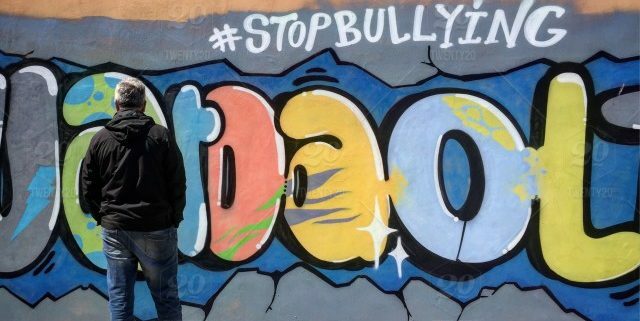 Dealing with bullying is not an easy task, and the solution is not a simple one. And as with any other problem, mistakes are always a possibility. So to help you be there for your child in the best way possible, we’ll list some of the things you shouldn’t do, and advise you on what to do instead. …You should show empathy and understanding towards their feelings and work on the best possible solution – together. Wang, J., Iannotti, R.J., & Nansel, T.R. (2009). School Bullying Among U.S. Adolescents: Physical, Verbal, Relational and Cyber. J Adolesc Health 45(4): 368–375. If you need any advice about bullying, you’ve come to the right place! Good Parenting without Overmonitoring – Yes, It’s Possible!